The novel "The House of the Dead" Fyodor Mikhailovich Dostoevsky was born on November 11, 1821, in Moscow. His father Mikhail Andreevich came from the Polish gentlemen line Dostoevsky, Radvan coat of arms; the man had a medical education and worked in Borodinsky regiment, Moscow military hospital, and Moscow Mariinsky Hospital for the poorest. The would-be writer’s mother Maria Fyodorovna Nechayeva was the Moscow merchant’s daughter. Although Fyodor’s parents were not rich, they were working hard to earn their family’s living and provide the children with good education. Later, Dostoevsky admitted that he was deeply thankful to his parents for his excellent training and upbringing that cost them very much. It was the mother who taught the boy how to read; she used the book “104 Stories from Books of the Old and New Covenant.” This fact explains why one of the novel’s characters, Zosima, mentioned this book in a dialog about how he learned reading. Young Fyodor also mastered his reading skills on the Book of Job; again, this was reflected in his works when the writer utilized his thoughts about this book when he was creating the famous novel “The Adolescent.” The father was also contributing to the boy’s education by teaching him Latin. There were seven children in the family. Fyodor had the elder brother Mikhail who was particularly close to him, and the elder sister Varvara. 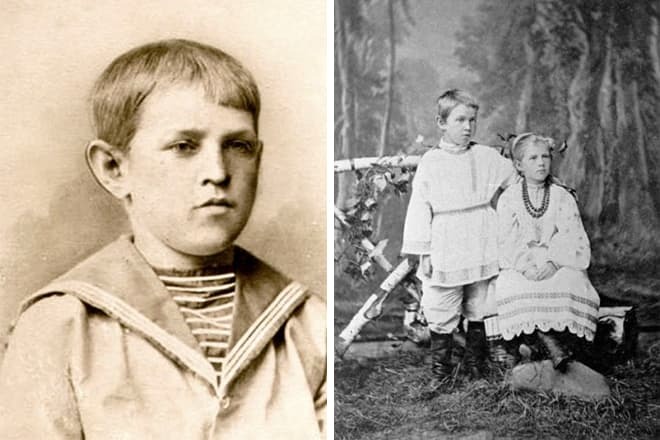 Andrey, Nikolai, Vera, and Aleksandra were his younger siblings. N.I. 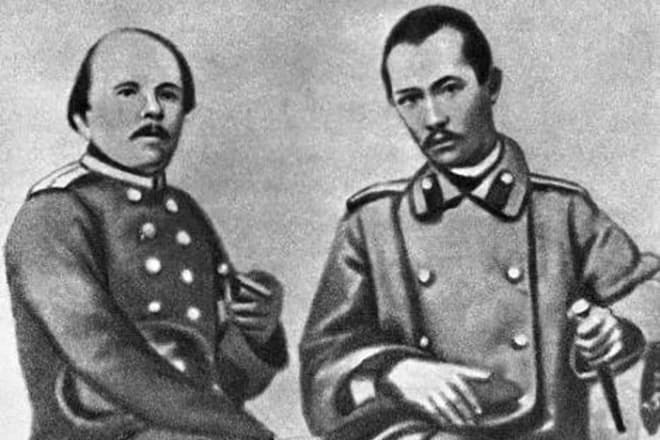 Drashusov, the teacher of Aleksanderskaya and Ekaterininskaya military schools, gave young Mikhail and Fyodor lessons: he tight the elder brothers French while his sons A.N. Drashusov and V.N. Drashusov taught them mathematics and language arts correspondingly. 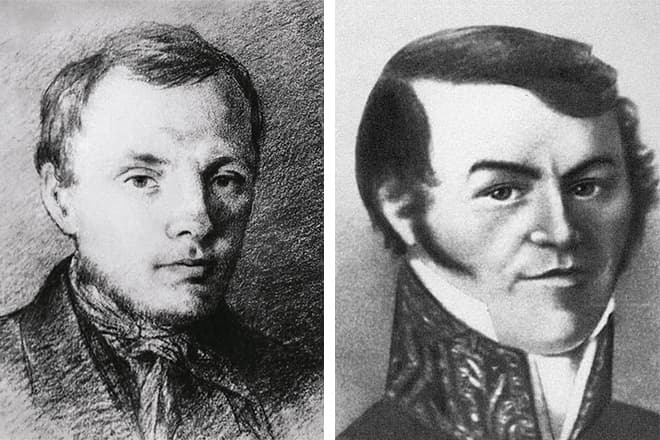 In 1834-1837, Fyodor and Mikhail continued their education in the L.I. Chermak’s boarding school that was prestigious at that moment. In 1837, the terrible event happened: Maria Fyodorovna Dostoevskaya died of consumption. Fyodor was only 16 at that moment. The father decided to sent Fyodor and Mikhail to Saint Petersburg, to K.F. Kostomarov’s boarding school: he wanted the boys to enter Military Engineering Institute. It is peculiar that both sons were fond of literature and wanted to devote their lives to it, but Mikhail Andreevich did not consider their interest to be serious. The boys did not dare to thwart their father’s will. Fyodor Mikhailovich studied at school successfully, entered the institute, and graduated; however, he spent all his spare time reading. Instead of mastering engineering, he was devouring books by Shakespeare, Hoffmann, Byron, Goethe, Schiller, Racine, Homer, Lermontov, Gogol, and Pushkin. In 1838, Dostoevsky and his friends even organized their own literature club; Grigorovich, Beketov, Vitkovsky, and Berezhetsky were the members. At this period, the writer started creating his first works, yet he hesitated to choose the career of a writer. As he graduated in 1943, he got hired as a lieutenant engineer in Saint Petersburg engineer organization. However, he did not work there for a long time: in 1844, he made the final decision to engage himself in literature and resigned. The success did not last. In a year, Dostoevsky presented his new book “The Double,” but the majority of the young genius’s talent fans did not understand it. The admiration and compliments were changed by criticism, dissatisfaction, disappointment, and sarcasm. Litterateurs recognized this work’s uniqueness and difference from other novels of that epoch much later – almost nobody felt this way at the moment of the first publication. 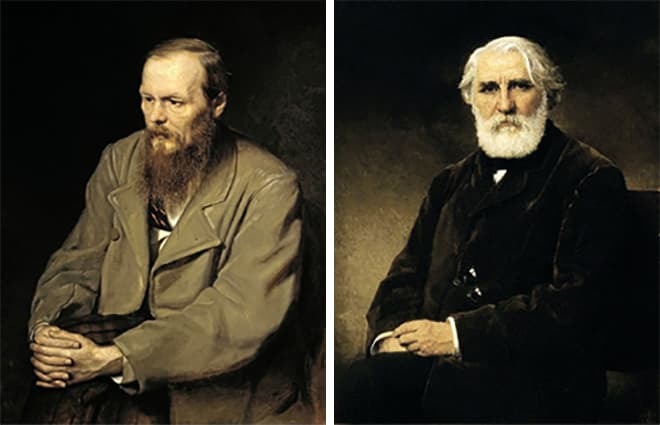 In a while, Dostoevsky had a quarrel with Ivan Turgenev; he was thrown out of the “Belinsky’s club.” Besides, he had a conflict with Nikolai Nekrasov, the chief editor of “Sovremennik” (“The Contemporary”). Luckily, the magazine “Otechestvennye Zapiski” (“Patriotic Notes”) and its editor Andrey Krayevsky agreed to publish Dostoevsky’s works. With all that being said, the extraordinary popularity of the first novel gave Fyodor Mikhailovich the chance to have many useful connections in St. Petersburg literary society. Many of his new acquaintances became the prototypes of various characters in his later works. In 1846, the writer met Mikhail Vasilyevich Petrashevsky; this event proved to be the turning point in his life. Petrashevsky organized so-called “Fridays” where people discussed the abolition of serfage in Russia, freedom of publishing, progressive changes in the judicial system, and other similar issues. At these meetings, Dostoevsky met the communist Nikolay Speshnev who established the secretive association in 1848. The organization included 8 persons including Speshnev and Dostoevsky. They supported the idea of the revolution and creating an illegal typography. At the meetings, Dostoevsky read aloud “Belinsky’s letter to Gogol” which was banned at that time. 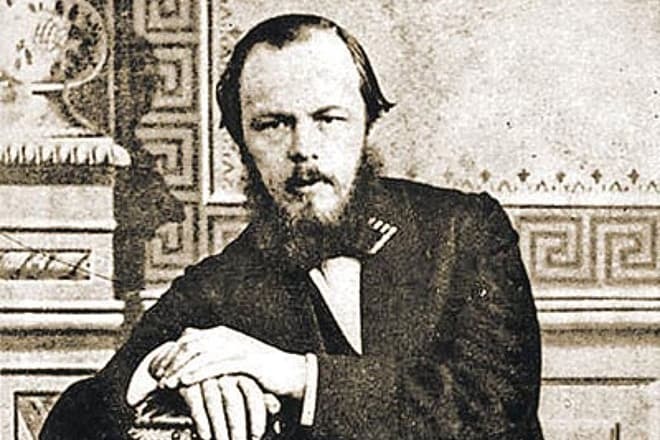 In 1848, Dostoevsky’s novel “White Nights.” However, the writer did not have the opportunity to enjoy his fame: the relations to the radical young people turned out to be fatal for the writer. On April 23, 1849, he was arrested along with many members of Petrashevsky’s circle. Dostoevsky pleaded not guilty but he was reminded of all his previous activities including reading the “criminal” letter by Belinsky. The writer was sentenced to death until November 13, 1849, and spent 8 months at Peter and Paul Fortress prison. Fortunately, the cruel sentence was not carried out. On November 19, the investigative commission believed the punishment did not correspond to Dostoevsky’s crime so the death penalty was changed for 8 years of hard labor in exile. At the end of the same month, the emperor Nickolas I reduced the sentence: the writer was sent to Siberia for four years instead of eight. He was to be stripped of his noble rank and fortune; by the end of the imprisonment, he had been reduced to the rank of private soldier. 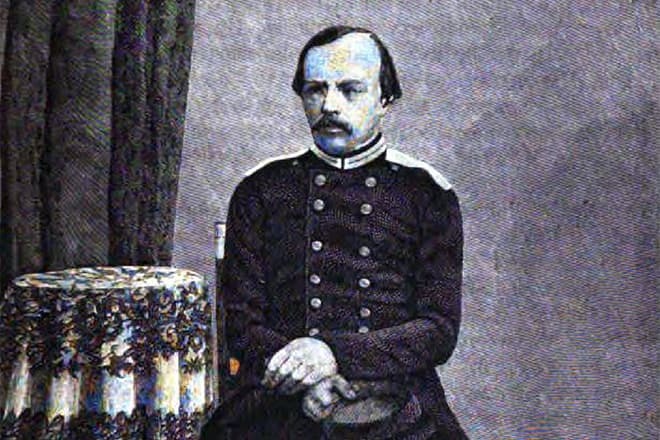 In spite of all ordeals and discomfort of the punishment, reducing to the rank of soldier implied that Dostoevsky had all his civil rights returned. It was the first case in Russia: normally, people sentenced to labor in exile had no rights even if they managed to survive many years of imprisonment and came back to their free lives. The Emperor felt sorry for the young writer and did not want to ruin his talent. The exile years made an imperishable impression on Fyodor Mikhailovich. Endless suffering and loneliness were extremely difficult for the writer. It took him much time to establish more or less appropriate communication with other prisoners who did not want to accept him because of his noble background. In 1856, the new emperor Aleksandr II granted his forgiveness to all Petrashevsky’s circle members. 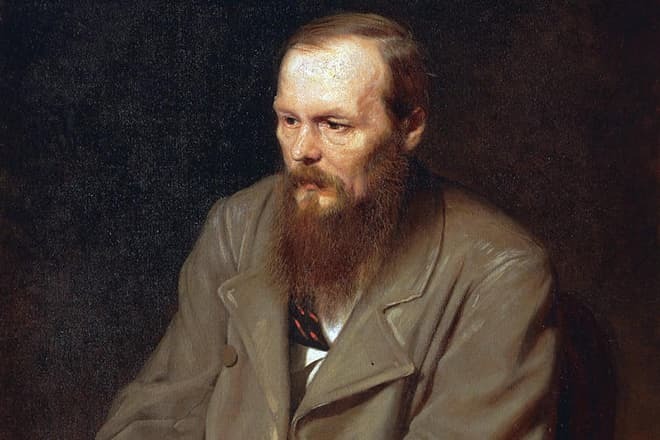 In 1957, Dostoevsky was pardoned: he got full immunity and all his rights on publishing his works were restored. 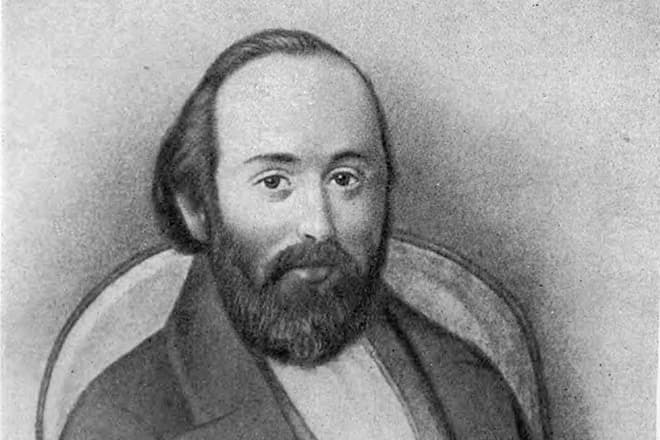 While young Fyodor Mikhailovich was a person who had no solid plans on his future and tried to find his own truth and build his life principles, in the late 1850s, he was already a mature individual. The difficult years of imprisonment made him a highly spiritual person until his last days. 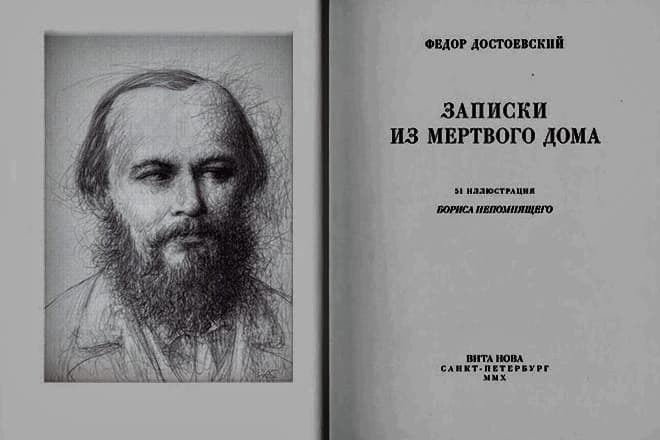 In 1860, the writer published a 2-volume collection of works with novellas “The Village of Stepanchikovo” and “Uncle's Dream.” Dostoevsky’s story was similar to “The Double” – although his works were appreciated later, the contemporaries did not like them. The publication of “The House of the Dead” helped drew back people’s attention to the grown-up writer. This book written during the forced labor period told about prisoners’ lives. The novel "The House of the Dead"
1861 was a remarkable year. Together with his elder brother Mikhail, the writer began to work on his own literary and political magazine “Vremya” (“Time”). In 1863, the magazine was closed, and the brothers printed another magazine “Epokha” (“The Epoch”). 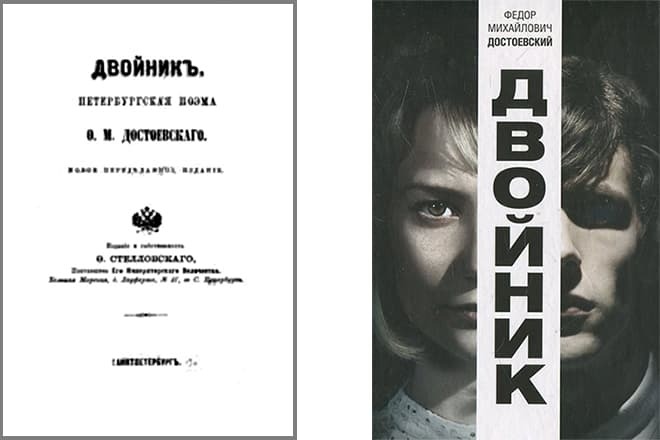 These magazines solidified the brothers’ position in the literary world and presented many significant works by Fyodor Mikhailovich: “Humiliated and Insulted,” “Notes from Underground,” The House of the Dead,” “A Nasty Story,” and many other novels. Soon, in 1864, Mikhail Dostoevsky passed away. In 1965, “Epokha” had to be closed due to the insufficient number of subscribers. Moreover, the writer had considerable debts afterward. To solve the complicated situation, he signed a disadvantageous agreement with the publisher Stellovsky. At this time, Dostoevsky began to write his most famous novel “Crime and Punishment.” The philosophical approach toward social motives was welcomed by readers; the novel brought much fame to the author in his lifetime. “The Idiot” published in 1868 was the next fascinating book by Fyodor Mikhailovich. The idea to represent a wonderful person who tries to make other people happy but fails to win evil forces and suffers themselves only seemed to be easy to write. 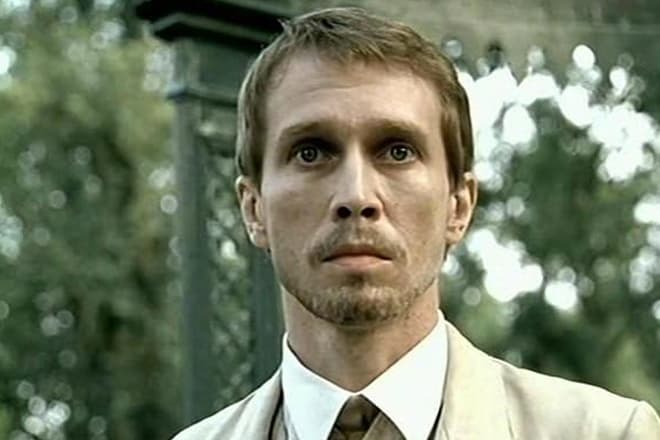 Dostoevsky called “The Idiot” his most difficult book, although Count Myshkin was his favorite character. As soon as Fyodor Mikhailovich finished this novel, he wanted to create a saga “The Life of a Great Sinner.” He did not manage to pursue it, but some ideas were reflected in his next great pieces of writing: the novel “Demons” (1871-1872), “The Adolescent” (finished in 1875), and the novel “The Brothers Karamazov” (finished in 1879-1880). It is interesting that “Demons” was supposed to express the writer’s negative attitude toward revolutionary oriented people in Russia but was transforming in the course of writing. Initially, the author did not want Stavrogin to become the key character. However, his figure was so powerful that Fyodor Mikhailovich made a decision to change the idea and add the real drama and tragedy to the political work which made Stavrogin one of the most famous characters created by Dostoevsky. While “Demons” had to do with the subject of fathers and children, the next work “The Adolescent” was focused on the process of a grown-up child’s upbringing. Dostoevsky died on January 28, 1881, because of chronic bronchitis, pulmonary tuberculosis, and lung emphysema. The writer was 59 years old. Crowds of the writer’s talent admirers came to his funeral. However, Fyodor Mikhailovich, his eternal novels, and wise quotes became more famous only after his death. 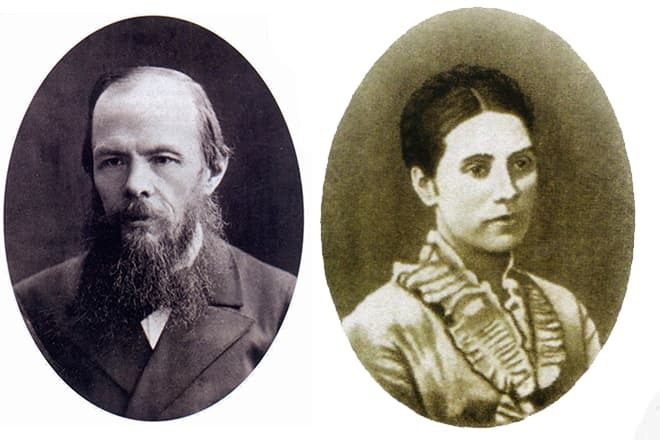 Maria Isaeva was Dostoevsky’s first wife: the writer met her soon after he came back home from prison. Fyodor and Maria’s marriage lasted for about seven years until the woman passed away in 1864. In the early 1860s, Dostoevsky was charmed by the emancipated Apollinaria Suslova during one of his first trips abroad. She became the prototype of several Dostoevsky’s characters: Polina from “The Gambler,” Nastassya Filippovna from “The Idiot,” and others. By the age of 40, the writer had quite long relationships with Isaeva and Suslova, yet he had no children. This misfortune was mended by the writer’s second wife Anna Snitkina. 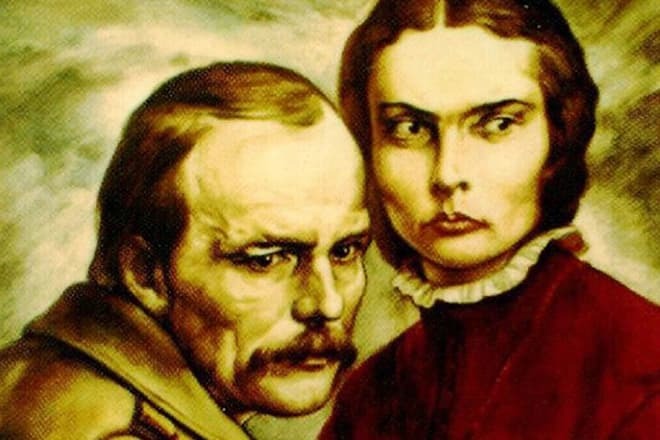 She was not only a faithful wife but also a great help: she organized Dostoevsky’s novels publishing, managed finances, and prepared her memoirs about her genius husband to be published. Fyodor Mikhailovich devoted the novel “The Brothers Karamazov” to her. Anna Grigoryevna gave birth to four children: the daughters Sophia and Liubov and the sons Fyodor and Alexey. Unfortunately, Sophia, the first child of the couple, died several months after she was born. 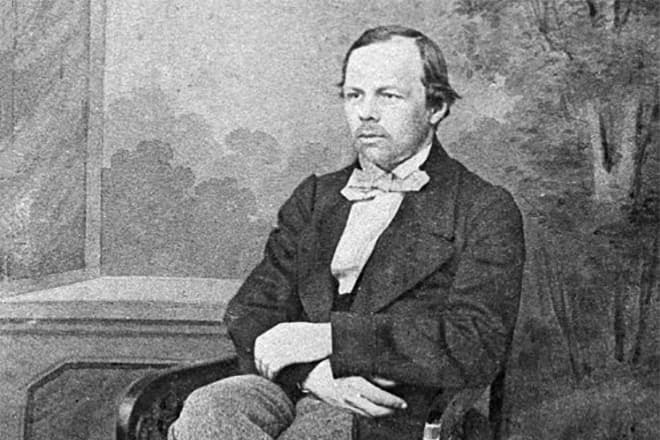 Only Dostoevsky’s son Fyodor continued the Dostoevsky family line. No one takes the first step, because everyone thinks that it is not mutual. To destroy a person, very little is effective: they should be convinced nobody needs what they do. A writer whose works had no success will easily become a severe critic, just like third-rate, tasteless wine may turn into excellent vinegar. It is amazing what one ray of sunshine can do for a person. A person who can hug is a good person. Do not litter your memory with offense, or there will be no room for wonderful moments there. He is an intelligent person, but intelligence is not enough to act sensibly. Who wants to be useful will manage to do a lot of good even with their arms tied. Love life more than the meaning of it. The most basic, most rudimentary spiritual need of the Russian people is the need for suffering. Happiness means the process of reaching happiness.